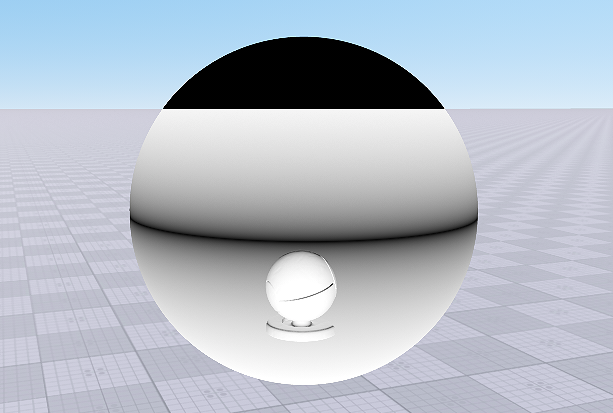 Since Unigine rendering pipeline includes forward rendering pass for transparent objects, you are able to create custom shaders for the forward rendering pass. Forward pass can be added to the already created custom material or you can create new material for it. This article shows you how to write a material with custom shaders for the forward rendering pass. First, we should create a material with the forward pass. Another way (if you already created the material with the deferred pass) is to add the forward pass to the already created custom base material). Let's add the new custom base material for the forward rendering pass (similar to deferred rendering pass material. Added a new ambient state for the custom material. Defined shaders for forward (ambient) rendering pass. In UNIGINE we use "ambient pass" instead of "forward pass". Added ambient pass to the textures attributes. Added two new textures for the fragment shader of the ambient pass: opacity_depth and gbuffer_normal. These textures contain the information from the corresponding buffers of the deferred rendering pass. Save the new material as custom_forward_material.basemat file to the assets/Materials folder. Now, in the project, there are materials with forward and deferred rendering passes. Since we write a simple shader example, let's use the vertex shader for the deferred rendering pass. Save the shader as ambient.vert to the assets/shaders/vertex folder of your project. This section contains instructions on how to create a fragment shader (also known as pixel shader). Forward rendering pass doesn't use deferred buffers to render the final image. Save the shader file as ambient.frag to the assets/shaders/fragment folder of your project. We defined 2 textures in material: opacity_depth (depth buffer texture) and gbuffer_normal (normal buffer texture) to use them in our fragment shader. We defined the depth_cutout variable to cut out the sky. We set the output color by using our initial albedo texture and the dot product of normal vectors. We didn't fill the G-buffer, because it's the fragment shader for ambient pass. After performing all these steps, you can see recently created shaders in use. Now you should open the UnigineEditor and assign the material. Create a primitive, for example, a sphere. After that you'll get the following result.